Energy efficiency, two stage design, and variable speed motors are all important aspects that should weigh in on your next furnace decision. Be sure to check out environmentally-friendly options while still maintaining durability and reliability, combined with quiet operation. 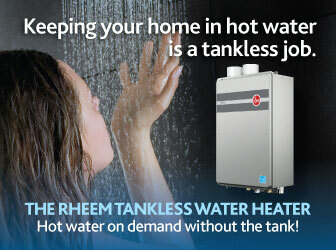 Our hot water heaters provide consistent warmth, energy-saving efficiency, and exceptional value. State-of-the-art technology brings purification, filtration, humidity control and ventilation to new levels with air quality products. You need to find the best equipment that you can afford, minimize down time by utilizing preventative maintenance and prepare or future replacement.